A fantastic investment opportunity in a popular location. This well presented spacious period property set over three floors. 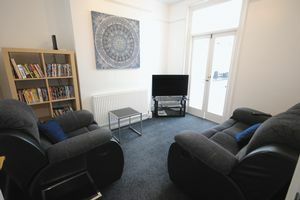 Currently set up with an HMO licence, which is fully compliant and has been inspected by Exeter city council. 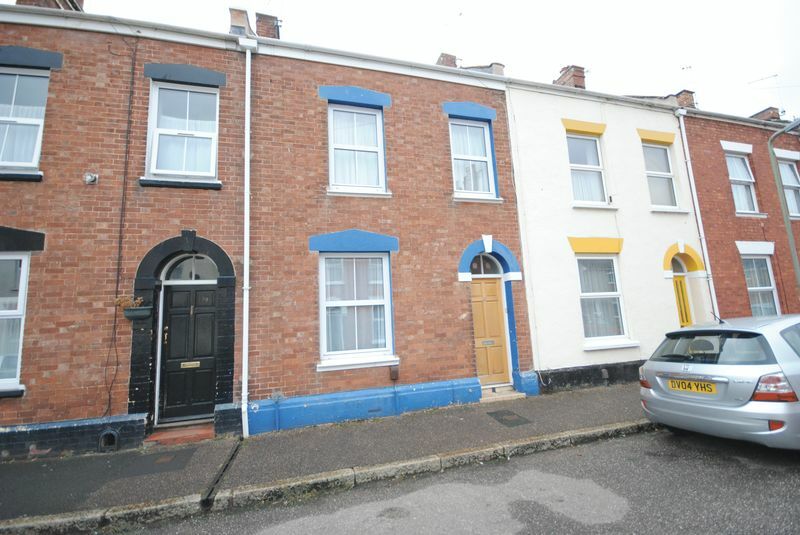 All five bedrooms are let out so it is being sold as a going concern with a yield between 6% and 7%. Wooden front door with part glazed frosted inner door. staris to the first floor, under stairs storage cupboard housing meters, dado rail, radiator, doors to Bedroom two, Bedroom three and lounge. Front aspect uPVC double glazed window, storage cupboard housing meter, picture rail and radiator. French doors leading to inner hallway, TV point, radiator. Wooden glazed french doors providing access to the rear garden, Skylight, door to en-suite bathroom. Three piece suite comprising of panelled bath with mira shower above, low level WC, pedestal wash hand basin, part tiled walls, extractor fan. French doors providing access to the Kitchen, TV point, Picture rail, radiator. Fully fitted modern kitchen with a range of eye and base level units. 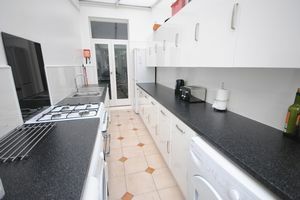 Space for a gas cooker, space for further appliances, part tiled walls and uPVC door providing access to the rear garden. Split level landing with turning staircase provides access to Bedroom one, Bedroom five, Bedroom four, bathroom, toilet and shower room, dado rail, rear aspect uPVC double glazed window, wall mounted boiler, radiator. Front aspect twin uPVC double glazed windows TV point, radiator. Rear aspect uPVC double glazed window with view over the rear garden, TV point, radiator. Rear aspect uPVC double glazed window, into eves storage, TV point, radiator. Two piece suite, fully enclosed shower with mira, pedestal wash hand basin, heated towel rail, extractor fan. Rear aspect uPVC double glazed frosted window, three piece suite with panelled bath with mira shower above, low level WC, pedestal wash hand basin, heated towel rail, part tiled walls, extractor fan. To the rear of the property is fully enclosed garden by panelled fencing with range of shrubs and mature trees.